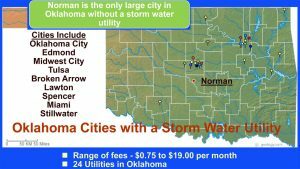 Norman City Council will consider an agenda item for a “second reading” of a Storm Water Utility (SWU) method of billing at a Special Session on Tuesday, June 7, 2016. There’s no telling what “version” of the proposal will actually get “read” (if it is even read at all) with all the various “options” on the table. This meeting is the “last chance” to get something on the ballot, this time schedule to allow an election date for voter consideration on Tuesday, August 23, 2016. In 2007, the City of Norman created a task force and hired engineering consultants to lead the study and creation of a master plan for storm water management, watershed maintenance and greenbelt corridor planning. In 2009, a Storm Water Master Plan document was released (682 pages). This study proposed 59 improvement, construction and maintenance projects to address flooding, stabilization and drainage. These projects were estimated to cost $82 million and might require a Storm Water Utility to accomplish these projects. 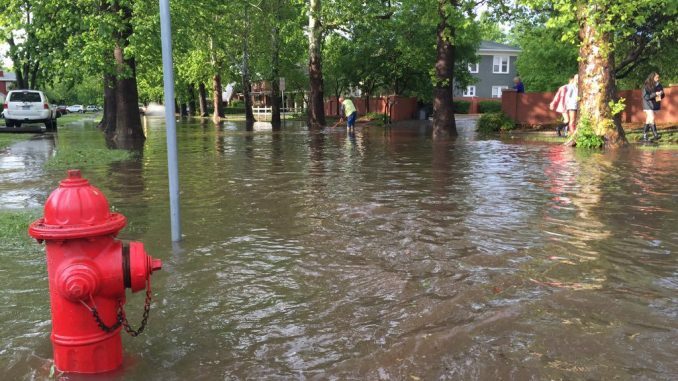 The current state of Norman’s storm water system is based on principles and methods from the 1970’s and hasn’t been updated or maintained in any considerable fashion. Flooding, pollution and yard waste are the main problems. These contaminants are not dealt with and runoff into creeks, streams and rivers ends up in Lake Thunderbird which supplies all of Norman’s tap water, and the South Canadian River. 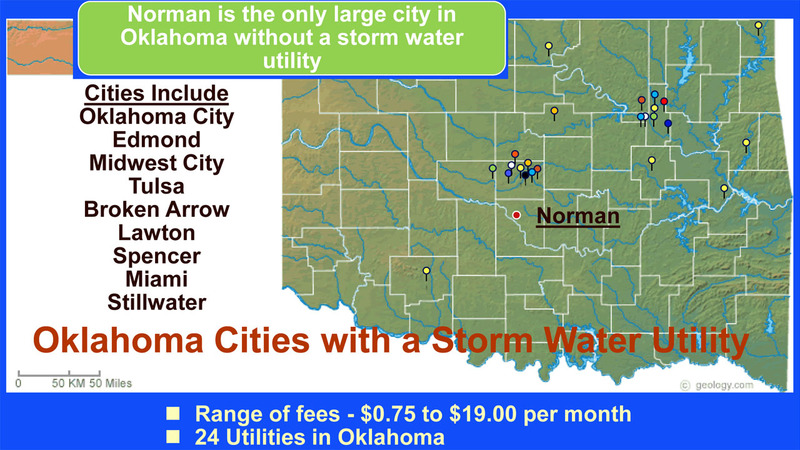 The current tasks before City Council are the establishment of billing rates for the proposed storm water utility and putting it on a ballot for the registered voters in Norman to decide if the proposal will be adopted. There have been a few billing rate schedules proposed and discussed at many City Council Study Sessions and some City of Norman hosted public meetings. The City of Norman has a plan to address these issues, but it will take a public vote and we have yet to come to an agreement on what the rate structure should be. I encourage all residents to follow this issue closely. Option C from the Master Plan has been around since 2009. It is a chart based schedule with several ranges of square footage area of impermeable surface per parcel that gives dollar amount to be paid each month. Option C is a little complicated when read in the format of ballot proposal language, but the chart version is pretty straightforward and fair to all parcels. Additional language was added in the May 10 meeting to address exemptions. Several other proposals for billing methods have been presented, discussed and mulled over. Council Member Castleberry and Council Member Miller have each proposed different wordings for fee assessments. The Director of Public Works and City Engineer gave a presentation to Council on 4/21/2016 (link). The Council is aware of the impact this will have on all property types. There may be many more that I’m unaware of. Furthermore, if Council decides to do so, in a second reading, there might be exemptions for various reasons and caps to the fee, thus alleviating larger parcels of properties containing substantial impervious surfaces from paying their fair share. 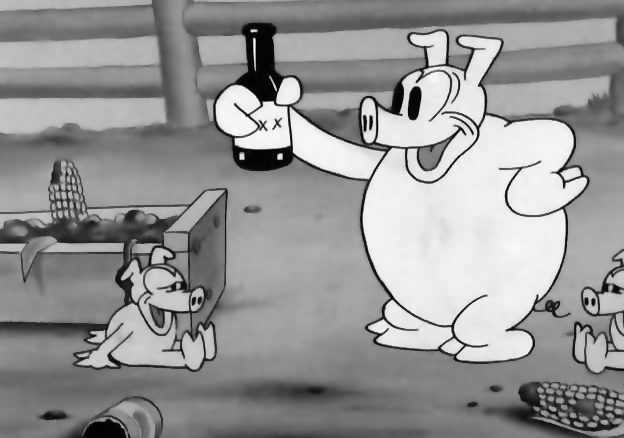 Properties such as big box retail, churches, car dealerships, the university and schools, and many commercial lots would benefit from such caps. The impermeable square footages per parcel estimates are available in what was derived from GIS data provided by the City of Norman. I feel universities, churches, schools, big retail… should pay a fair fee, no different from a single family home owner… no property being exempt or capped within the City. In 2011, the City Council passed an ordinance that amended and updated storm water definitions, requirements and provisions. Here we are nine years after the task force and consultants. All of a sudden, it’s a hot button topic and seems to be all the City Council can focus on is adding a Storm Water Utility to the City’s monthly bill which already includes water, trash, curbside recycling and sanitary sewer. There are some pressures from the usual “big business” constituents, special interest groups and other engaged citizens that crowd City Hall and Facebook Groups. The Council has many proposals about how to bill, rates, fee structures, caps… This kind of utility already exists in most cities in Oklahoma, not to mention the rest of the United States. There are systems out there that are fair. Why reinvent the wheel? Why is this so difficult? The rush, it seems, is to get the proposal on a certain ballot for the people to decide. Why now? After nine years of acknowledging a problem that needs at least $82 million worth of construction alone to address the needs of the City infrastructure, why does this have to be on the August ballot? I don’t get the ebb and flow of local politics. For nine years, a topic can be dismissed, suppressed, ignored, tabled… and then all of a sudden it’s fatal, do or die, we have to act NOW!!! It’s gotta-be on the August ballot. Such is the fickle nature of political agenda, and so are the days of our lives. Most cities in Oklahoma have a SWU. It’s not as complicated as some of these proposed rate plans. Just think about the lost revenues from this fee that wasn’t implemented 7 years ago. If sanitary sewer can have a flat $5 fee for my residence, why can’t storm sewer? It could be that simple. I think a scaled fee based on a parcel’s impermeable improvements is the right way to go. It needs to be fair, without top end caps, and no property should be exempt. All properties contribute to the runoff of storm water. The amount of that runoff varies tremendously. Use a universal multiplier of $0.0015 per square foot of impervious surface to determine a base fee. This multiplier could be $0.0013 to $0.0025… a common range used by other municipalities and suggested in Norman’s Master Plan report. Reduce the base fee by the permeable surface percentage of the parcel, thus encouraging green space and thoughtful stewards of the land. Further reduce the fee by 25% if an “approved stormwater improvement” exists on the site and is properly maintained by the parcel owner. This “credit” is only for larger properties. A final fee is established and billed monthly. A minimum fee should be established, such as $3.80. Any “final fee” falling below this minimum would be billed the minimum. My idea for Storm Water Utility billing. Here is a chart I made with random properties in an attempt to show actual case study results of this system of determining fee. All parcels are equal and billed in a fair manner based on their actual impact on the watersheds and, ultimately, Lake Thunderbird, with incentives for environmental-based decisions. No parcel is exempt or capped. Rainfall affects all properties equally, thus all properties should be billed equally. These are my thoughts alone, it would seem. I wish the best of luck to the City Council to create an equitable fee schedule to put on the ballot, and that the voters have the wisdom and knowledge to vote yes or no on the proposition. I hope Norman can begin to address a debilitated and environmentally insensitive storm sewer system at some point in my lifetime. I hope the City of Norman can hire adequate code enforcement personnel to facilitate making any stormwater system function. I am willing to pay my fair share. The cost of living and doing business in any city should include such consideration, especially when our drinking water is at stake. Let’s be stewards of the environment.